Have you ever wondered how there can be a God when there is so much suffering? Have you ever wondered if you, just you, can make a difference? Today we have another podcast coming to you from the Stiry Studio with a woman who has stared into the eyes of those who have suffered most in this world and who have replied back to her question of “what makes you strong” with a humble response of “God makes me strong”. This conversation left me so affected and Kathy Headlee of Mothers Without Borders and I ended up talking for several hours after the recording stopped. I learned so much from her and want to live in this space of love and service that she operates in and sees the world. Kathy is the founder of this beautiful organization that operates a primary school and orphan care transition center in Zambia Africa. They do farming, vocational training, women’s clubs to help empower women and just started a water drilling project. They also focus on helping others to see that love is what works in the world and mentors individuals and businesses to become free from the fear that prevents them from being on the divine path that they came on this earth to fulfill. 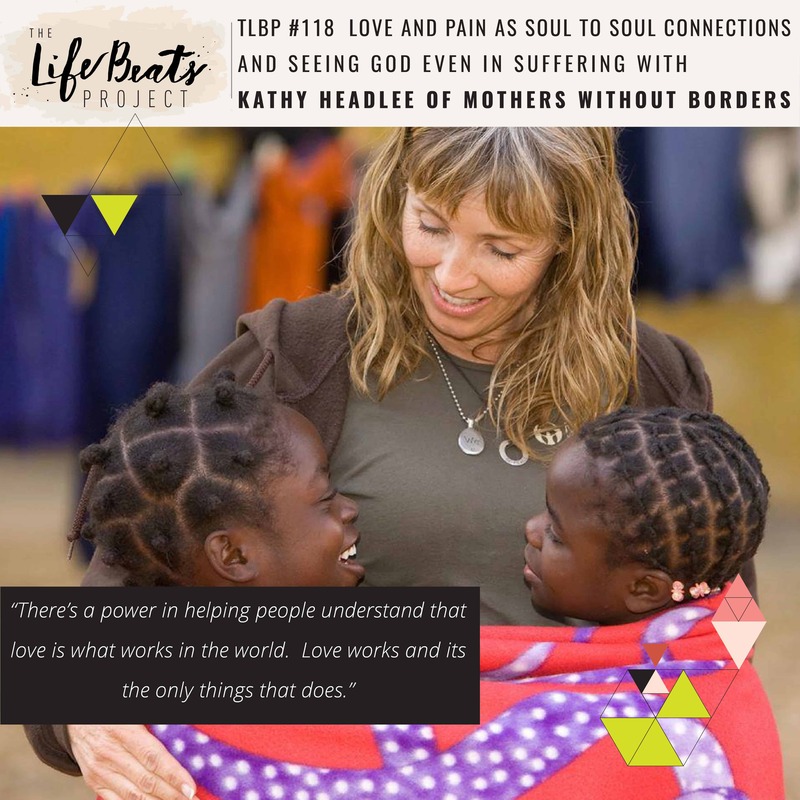 Kathy speaks of the soul to soul connection that unites the world, the idea of having a “what if” box, practicing being present, how pain brings compassion, how the people who suffer the most still see God in their lives, and how love is greater than fear. Kathy shares some powerful life stories that illustrate these beautiful principles. How her physical limitations she was born with made her feel like she was broken and never enough. And how the pain of staying the same exceeding her fear of changing drove her to begin to see herself and the world differently. She tells of a support group of Indian women all infected with HIV whose concern for their children ignited her desire to help orphaned children and see that one life, her life can make a difference. She sacredly respects and addresses a common question of how there can be a God if there is so much suffering as she recounts the story of a grandmother raising 9 orphaned children in an extremely impoverish area in Zambia whose prayers humbled Kathy. She invites us to be a part of the miracle of community, to bring what you have and add to the community. To meet inspiring people, to meet yourself and then realize you are inspiring. Listen and be inspired to remove fear from your life to live your highest, best self, to see that love is the only thing that works, to see the pain in your life as an avenue to feel compassion for others, and to recognize God even in suffering.